In the beginning of my design career, I designed custom invitations primarily for brides. My favorite thing about beautifully designed paper goods is that they set the tone for the event to come. A gorgeous invitation gives you an idea of what to expect. Will it be fun? Funky? Formal? Colorful? Elegant? 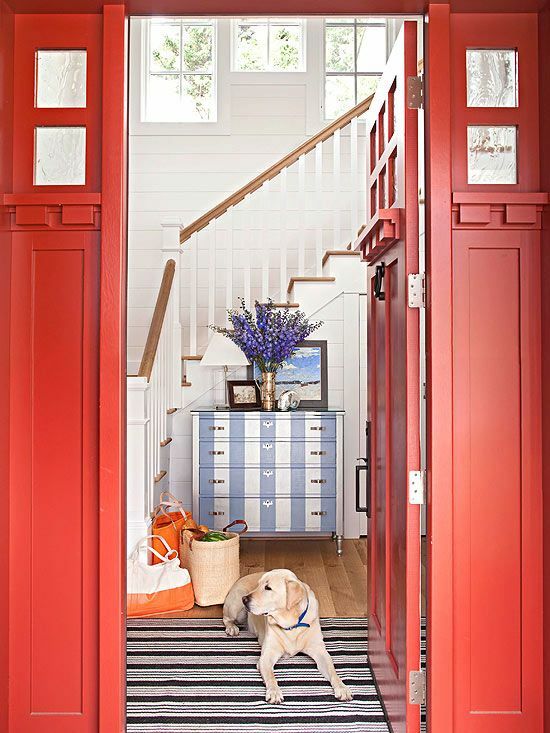 And in the same way, main entryway of your home tells the same story. It’s like the perfect space to set the tone for what the rest of your house will reveal. But entryways need to be more than just a pretty space; more often than not they have to do double duty as functioning storage/landing pad. It’s the first place you see when you come home and the last place you see when you leave. Odds are you’re taking a bag (or two), keys, sunglasses, a phone, and a litany of other items. And that’s just for you – other members of the family might need sports supplies, weather-appropriate gear, boots, etc. My other favorite thing about our entryway is that it also provides the perfect spot for holiday decorating. I love using our entryway as a place to display Christmas cards and decor for all seasons. Pumpkins at Halloween, a glitter putz village at Christmas, and hot pink hearts at Valentine’s have all made a starring appearance in our entryway. The possibilities are absolutely endless so don’t be afraid to have some fun with it. 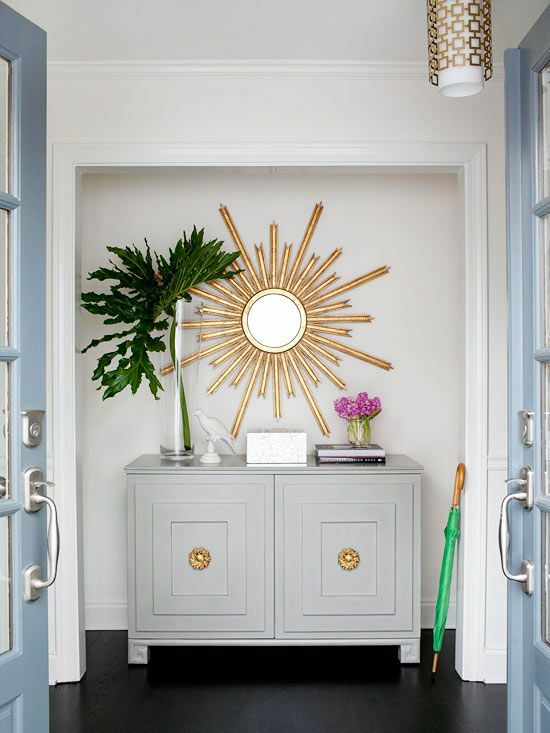 Here are a few of my favorite tips for designing your entryway: 1. 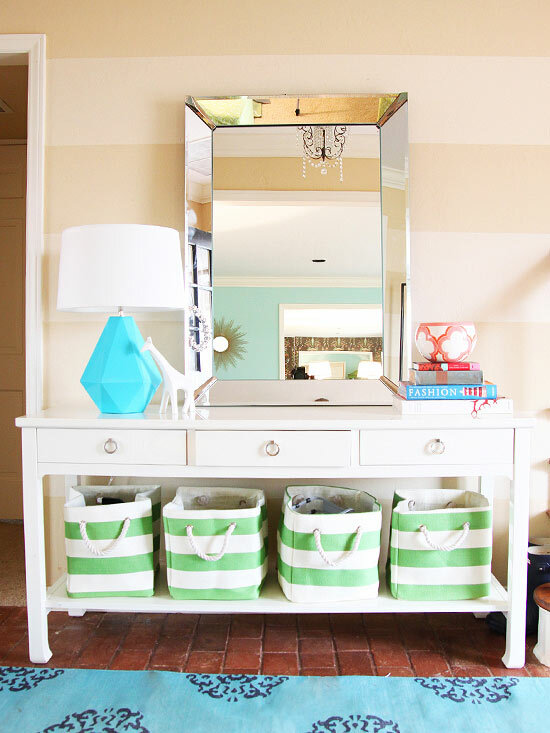 Go with a big mirror perfectly placed over the entry table. It provides the perfect chance to make sure every thing is in place before you dash out the door. 2. 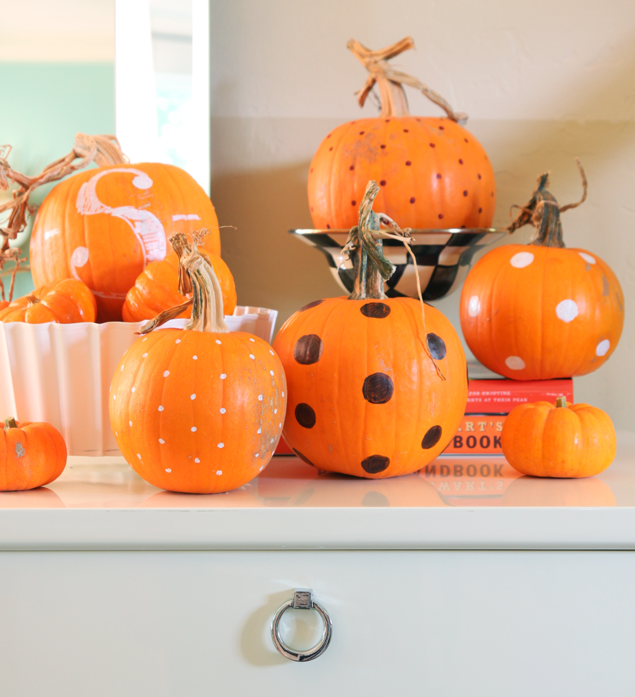 Get creative with storage and don’t forget to think seasonally. Winter items such as scarves, mittens, hats, etc., can all happily cohabit in an easily accessible tote. Find a cool tray to put snowy or rain-ridden boots. 3. Your entryway table could be anything from a cool desk to a Parsons-style sofa table. For smaller spaces, a glass top or lucite sofa table can be perfect to keep the eye from getting overwhelmed. Add layers and personality to your space with a rug, mirror, artwork, wall treatments such as paint or wallpaper, and other decor. And don’t forget – functional hooks can be pretty too! 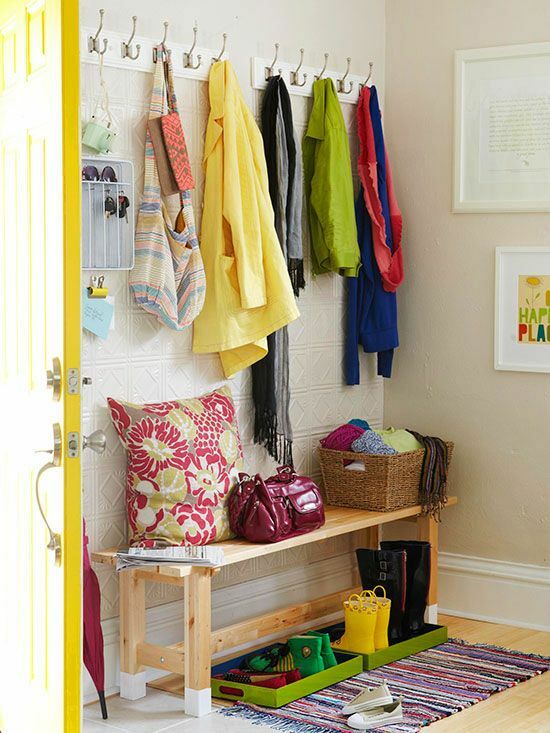 What are your favorite tips for creating functional but pretty entryways? I’d love to hear in the comments!